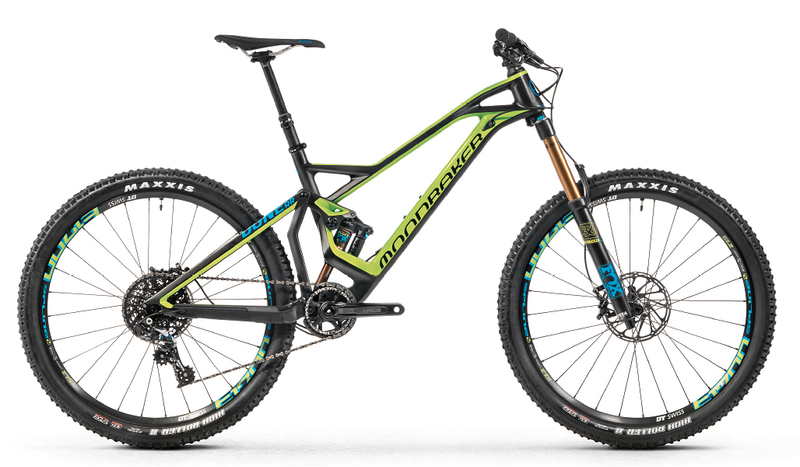 Mondraker’s new full-carbon, 160mm travel, Dune frame comes with adjustable geometry and a near 600g weight saving. 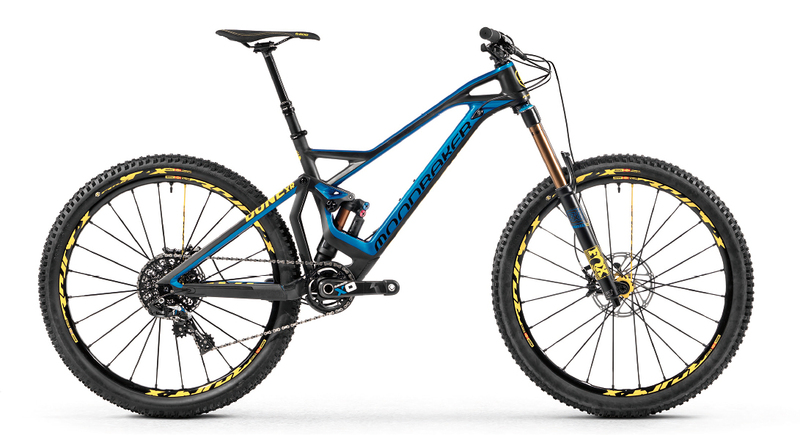 So, the new Dune Carbon; is it just a lighter version of the existing aluminium bike? Not quite. 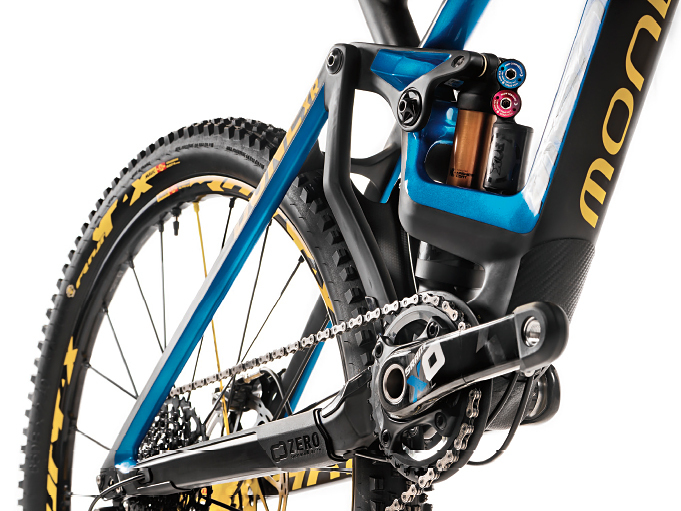 Yes, it’s lighter (2,450g claimed for a medium frame without shock – that’s a 580g saving), but there are a number of improvements and refinements that make this far more significant than just a carbon remould. Adjustable geometry, for starters. 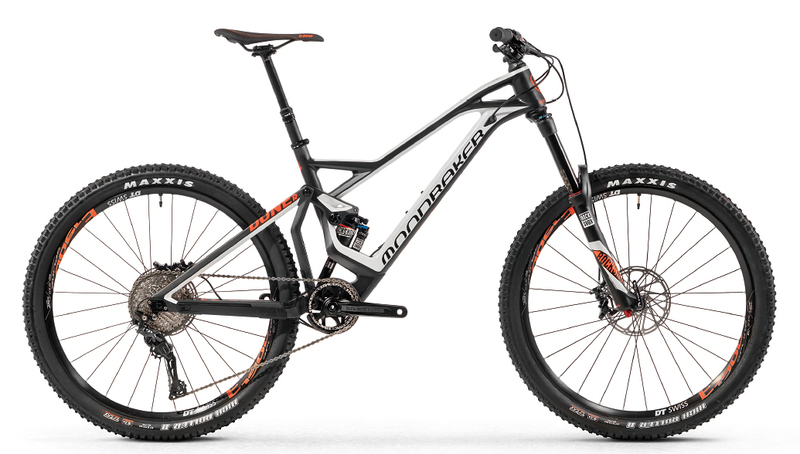 Born on the 2009 Summum downhill bike, adjustable head angle and chainstay makes this an enduro bike you can tinker with to your heart’s consent. It offers 2º of head angle adjustment; stock is 66º, but by running the 1º offset cups, this can be changed to 65º or 67º. Standard chainstay length is 430mm, with the optional dropouts extending this to 440mm. Thus, it’s possible to tune the steering response and weight balance to suit different riding styles, body proportions and terrain. The geometry kit comes as standard on the Dune XR model and the frameset. For customers buying the RR and R models, the kit will be available separately for 110€. Does it still get Forward Geometry? 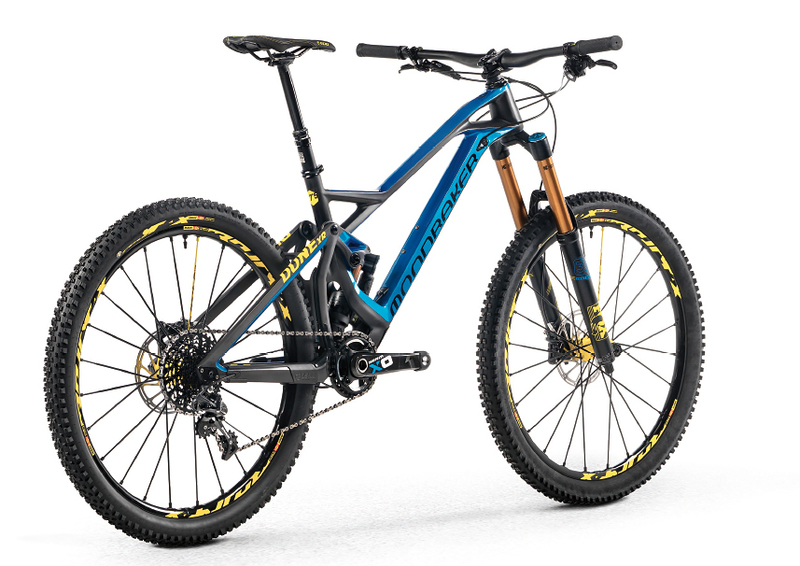 Yes, and while some brands have caught up with Mondraker’s signature long front centres and elongated top tubes – most notably Orange with it’s Alpine 160 – and even overtaken the Spanish brand – in the case of the Mojo Geometron – the new Dune XR is the biggest bike we’ve ever ridden. In size large, running the 65º head angle, we measured an 810 front centre and a 1,240mm wheelbase (in 430mm chainstay option). There’s also an XL size, which gets a 1,265mm wheelbase with the short chainstay option. Big enough, in other words, to fit all but an NBL superstar. Did you say it’s a full carbon frame? Yes, the front triangle, rear triangle and the upper rocker link are all carbon. It’s an impressive piece of engineering with many intricate details. There are signature touches, such as the “front window” behind the head tube, the cantilevered bottom bracket and the (now toned-down) hunchback top tube. It uses the latest moulding techniques, with latex covered EPS cores to compact the layup and eliminate weak points. Multiple prototypes were blind tested to achieve the right feel and ride quality during the lengthy development process. The Dune Carbon gets a sleek injection moulded rubber chainstay protector, detachable carbon mudguard, carbon downtube protector and ISCG mounted inner chain plate. Carried over from the Summum Carbon are the new bearings and oversize axles with an improved collet axle for the lower link. Theses are stiffer and more durable than previous parts. A 73mm threaded bottom bracket shell, 12x142mm rear axle, 180mm post mount rear brake and full internal cable routing complete the spec. Can you still get the 10mm stem? Look out for a first ride in the August issue of MBR.